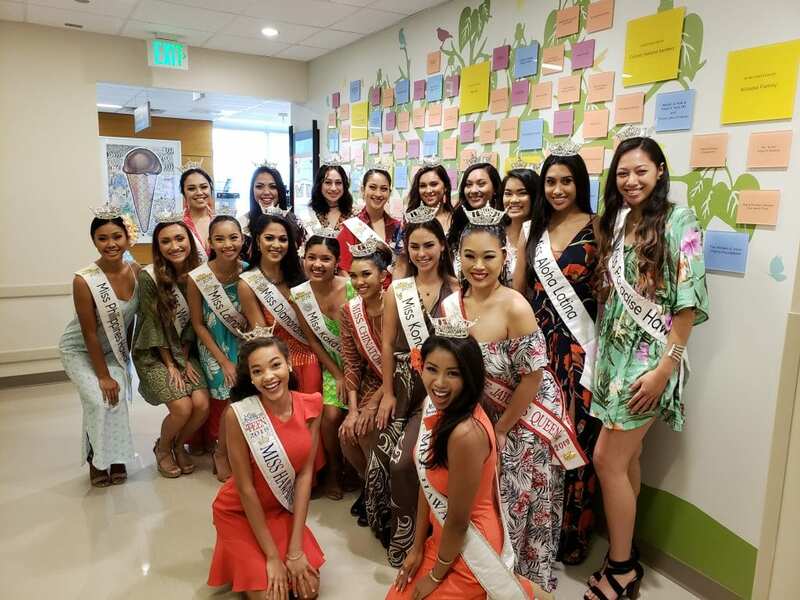 The 2019 class of Miss Hawaii contestants arrived at Kapiolani Medical Center for Women & Children ready to learn about this national partnership with Children’s Miracle Network Hospitals. They were introduced to the partnership and had the opportunity to learn about how Miss Hawaii has supports Kapi`olani Children’s Miracle Network throughout the years. Since 2007, Children’s Miracle Network Hospitals has been the official national platform of the Miss America Organization. Miss America titleholders across North America have raised more than $16 million for 170 member hospitals. Miss America acts as a goodwill ambassador for CMN Hospitals throughout her year of service. Miss America contestants at all levels raise money and awareness for CMN Hospitals and the Miss America Scholarship Program. CMN Hospitals is the national platform for the Miss America Organization. Donations raised by our Miss Hawaii titleholders support Hawai‘i’s only CMN Hospitals, Kapiolani Medical Center. Watch our titleholders raise money towards their goals at www.missamericaforkids.org.